No Dyes, Mineral Oil, Fragrances or known irritants. Absorbs smoothly to the skin. Provides just the right amount of hydration for most users. CHEMICAL FREE – Pregnancy Safe Sunscreen. A favoured for every day use as it applies transparently to the skin. EWG (Environmental Working Group) Top-Sunscreen Rated, two years in a row. Free of Parabens, Dyes, Mineral Oil, Fragrances or known irritants. Combination Skin, Oily Skin, Acneic Skin, Mature Skin. Pregnant and Breast Feeding mothers. 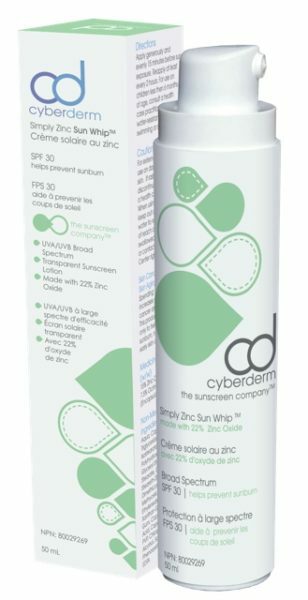 Zinc oxide provides consistent and photo-stable protection against UVB and UVA. Zinc is soothing and calming to the skin, which is why mothers apply zinc oxide to their babies’ bottoms. even lesser amounts of zinc, applies invisibly and smoothly to the skin. Apply in AM as last step of skin regime, but before makeup. Should be used after all laser light based procedures and/or facials, peels, microdermabrasion, derma-planing.